Why do you need to clean your submersible water pump? What are the benefits of cleaning your submersible water pump? It is a combination of a motor and a pump which are in an enclosed entity and are suitable for plunged installation. It is required that you clean your machine regularly so as to enhance its effectiveness when you are using it. The pump has been of great help to those people who live off the city and don’t have the privilege of piped water. With the pump, you can use piped water in your home by sourcing it from the well using this submersible water pump. It ensures that the water you draw from your well to the storage tank is clean and safe for use. It will enhance the water to be pumped from the well with adequate pressure, hence making the process quick. You can use it to draw large volumes of water whenever need arises. It is very important to know how to clean your pump because, it will consequently serve you for a long time and reduce the total cost of maintenance. Cleaning the pump involves some few steps which will be explained clearly so that u can use them suitably. 1.1 Step 1: Switching off the pump’s main electrical connection. Step 1: Switching off the pump’s main electrical connection. You must turn off the main electrical supply first, to enhance safety as you do the cleaning. In case you don’t turn it off, there can be an electric shock which may be hazardous. You must remove the entire pump from underneath for you to clean it effectively. This process must be carried out with a lot of safety measures to avoid damaging the pipe. You need to identify the pump’s water inlet first to void damaging it because it is like a screen. It filters the dirt and debris thus preventing them from entering the pump. Thereafter you should clean it so as to remove the materials that could have formed on it. Failure to clean this part adequately may result to a malfunction of the entire pump. You can also use a brush to remove the materials that cannot come off easily. Once you are done cleaning the pump to your satisfaction, you should get it back to the well again. 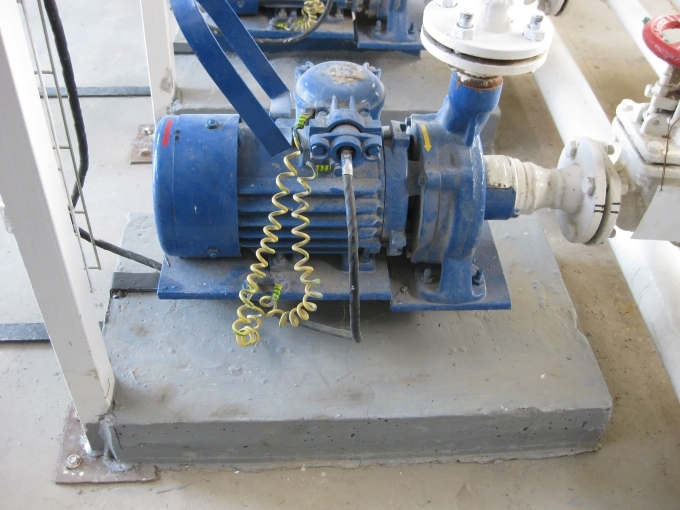 The process or removal and reinstallation of the pump require a second person so that you do not damage your pump. To ensure that you did not damage the pump in the whole process, you should test its functionality. To help you further with the cleaning procedure, you can open the link below to watch the process and you can also share it on Facebook for other interested persons to view it too. I find this helpful for everyone who owns or would love to own a submersible water pump because unless they know how to use it and clean it appropriately, it will not be of great help as it should be. I am hoping that you were able to understand my tutorial, and that you enjoyed reading it. However, enjoying to read it is not enough, as it must be followed by a practice of it. Remember to carry out your cleaning step wise since all the steps are of great significance. If you have comments or questions concerning the same, you can post it here to get a quick response.